Soo, in addition to the Candy Sweets collection I posted about, BB put out Buttercream Frosting. You can find this flavor in a tin paired with Candy Cane Cake and a glittery red nail polish named Confetti. Fans who can’t get enough of the frosting scent will like this one a lot. BB likes to do metallic smackers for the holidays–this year they gave us Shimmering Sugar, Magical Marshmallow, and Gleaming Gumball. 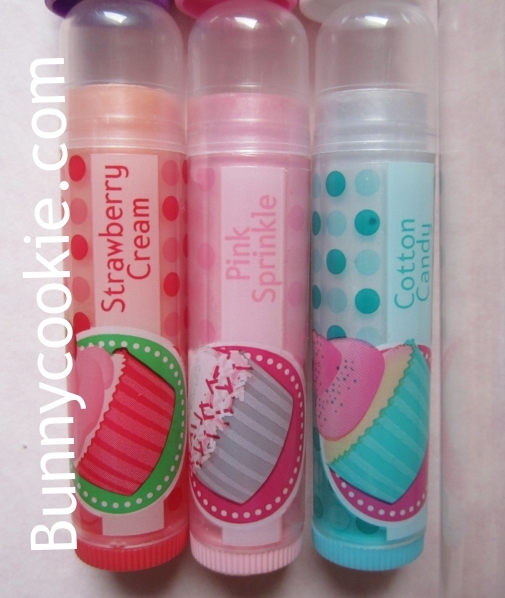 All three can be found in various tins, but you can also find the first two in a press-on nails set. They’re pretty standard flavors, but the balms are sparkly and you can’t go wrong with BB’s marshmallow 😀 These are easily found (and probably on steep clearance) at your local Walmart, Walgreens, Meijer, etc. Lastly, the Brights duos released earlier this year (Confetti, Funnel Cake, Snowcone, Lollipop) got a few new delicious friends in Gumdrop Glitter Pop, Twinkling Twizzle Stick, and Glistening Cherry Glaze. These are sooo good! The six-piece bag comes with a couple of the original Brights scents, as well as a re-done Confetti now called Candy Confetti. I can’t pick a favorite, this is an all-around perfect collection. The Year of Disney Princesses! I’ve posted before about the original Ariel, Cinderella, and Aurora releases, which everyone has seen by now, but I forgot to show pictures of the new princess biggies that were released this past fall. Sometimes Bonne Bell likes to change the format or design of a product, and they did exactly that with the new trios. There was a total of four trios made. 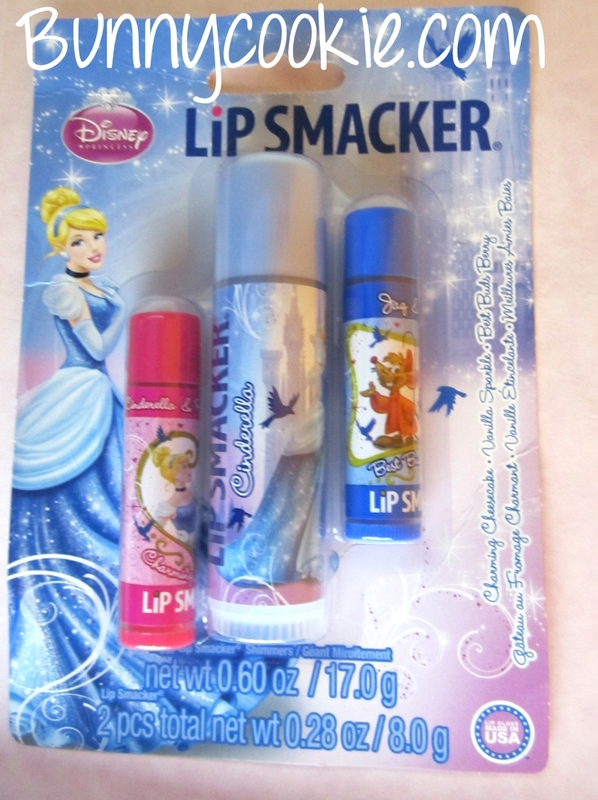 Each trio comes with 1 biggy, 1 ‘companion’, and 1 prince themed smacker. 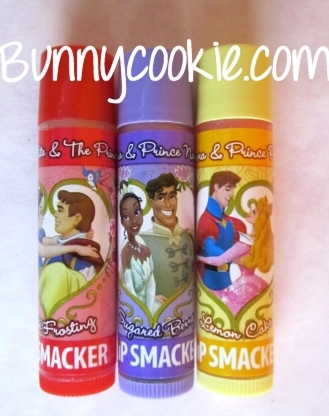 The companion smacker is only available in the trio, while the prince smackers are available in their own separate 6-piece pack (which includes a few other prince smackers that are not available in a trio set). Whew. So first up is the Ariel trio from the Little Mermaid. The biggy is Calypso Berry–just like the original Ariel biggy–, and her companion Lip Smacker is Sebastian in flavor Tropical Treat. 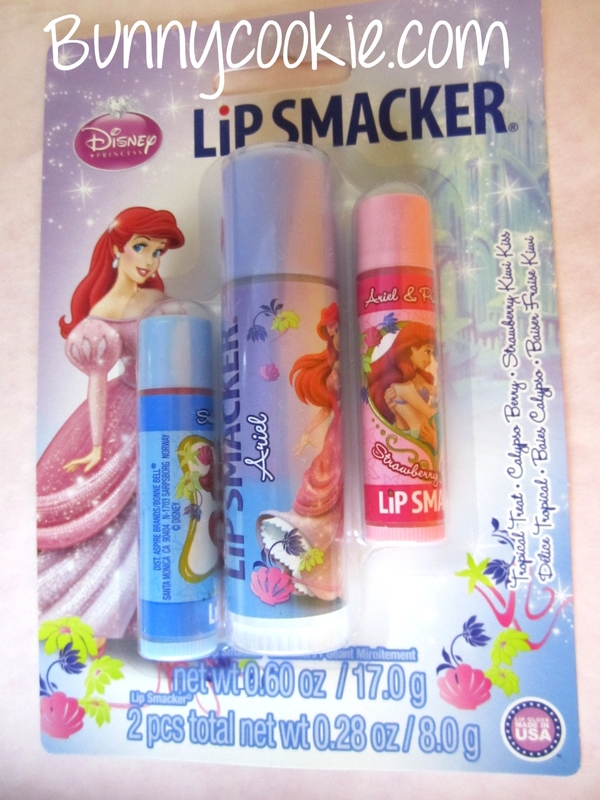 It’s hard to see, but on the far right is an Ariel & Prince Eric smacker in Strawberry Kiwi Kiss. Also notice Ariel is in a gown this time! The Cinderella biggy is Vanilla Sparkle like the original, and her adorable companion smacker features the mice Jaq & Gus in the flavor Best Buds Berry. I love it! 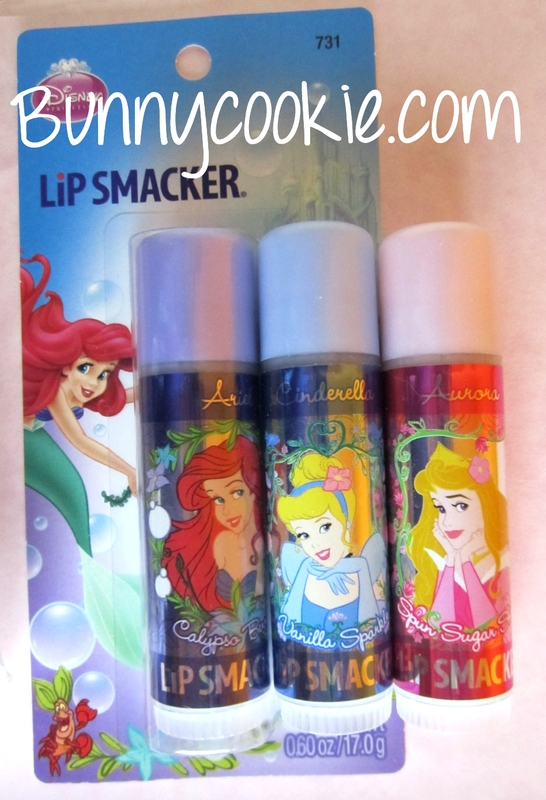 The smacker to the far left features Cinderella and Prince Charming in Charming Cheesecake. Belle was originally relegated to party pack status, but here she is with her own biggy!. And just like in the party pack, Belle’s flavor is Tea Time Treats. Sorry for the terrible picture, but on the far left are the characters Chip & Mrs. Potts in flavor Cream & Sugar. 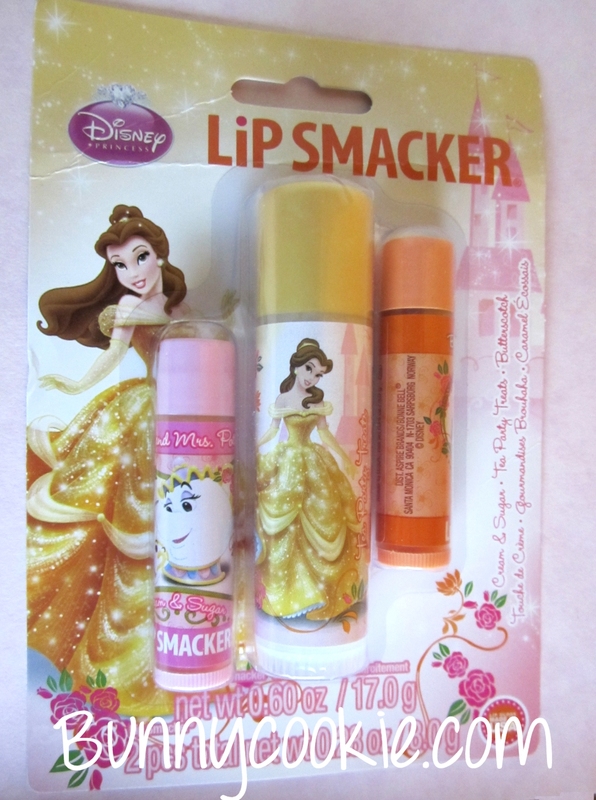 Belle is seen with Beast on the right in Butterscotch. 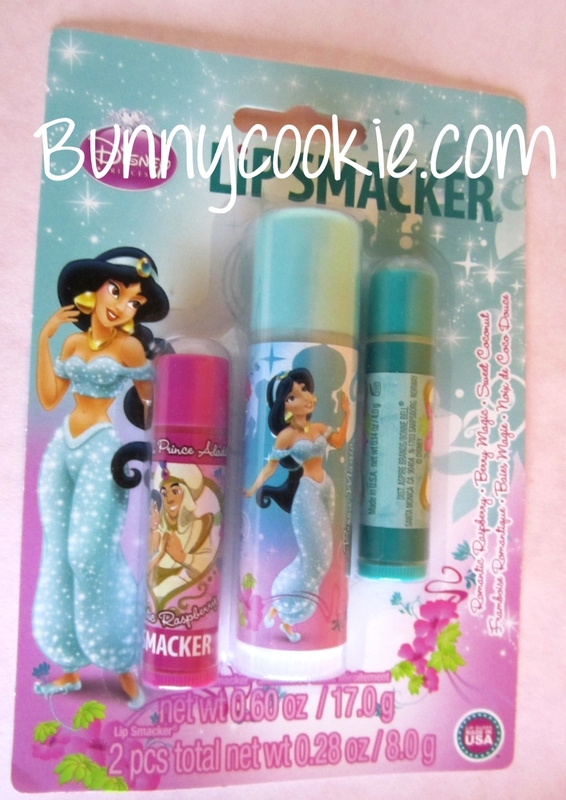 Last but not least is Jasmine’s trio, and my favorite one! It’s so pretty 😀 Like Belle, Jasmine did not have a biggy, but here she is in flavor Berry Magic. Her cute companion is Rajah in Sweet Coconut, while her and Aladdin are paired together for Romantic Raspberry. Finally, there was the 6-piece princess Shimmers set which was redesigned to match the prince 6-piece set. The flavors are the same as the party pack. I hope that wasn’t too confusing! Was everyone able to get everything? 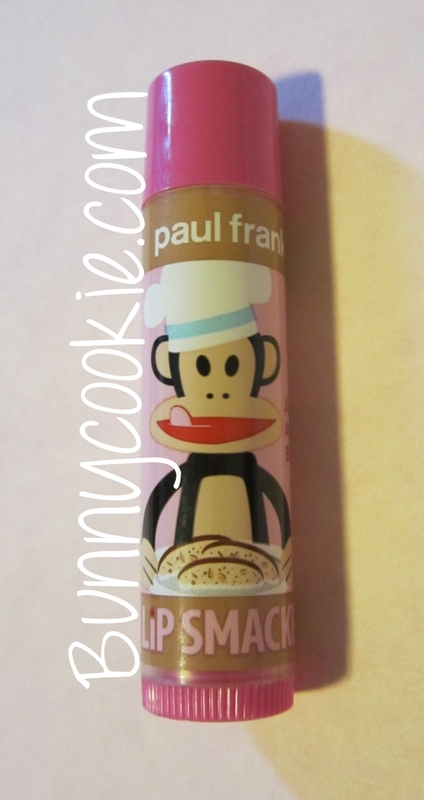 The new Amaretto Biscotti flavor from the Paul Frank line can be found in the standard party pack along with two other new PF flavors that we covered a few months ago–Worry Bear’s Warm Apple Crumb Cake, and Spicoli’s Caramel Corn. It smells warm and yummy, I suppose it passes for its namesake! A reader also let me know that she has spotted the new cupcake and strawberry lover collections at her local Walgreens–looks like they’ll be rolling out through the holiday season! 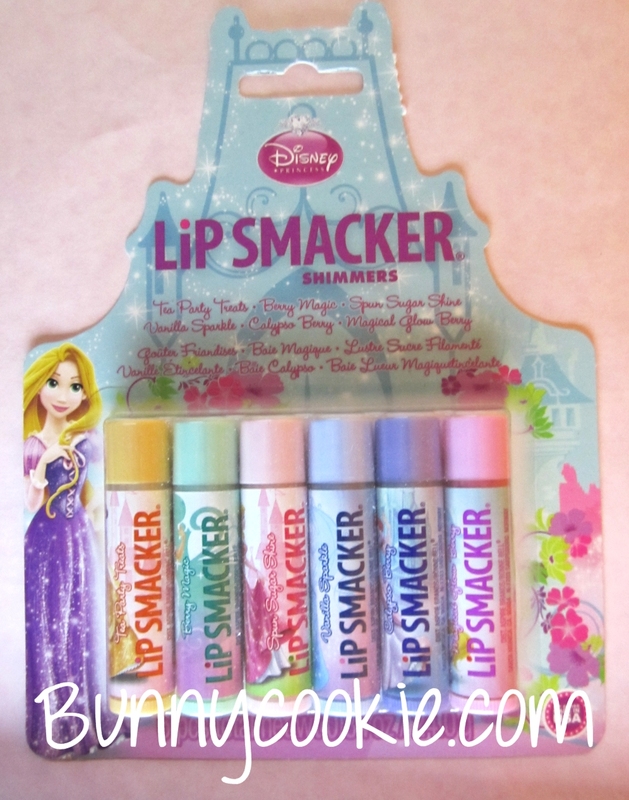 Lip Smacker is giving us lots of sugary sweet flavors this holiday season! Here’s a look at the Sweet Treats & Candy Sweet collections and their adorable cupcake and peppermint toppers! 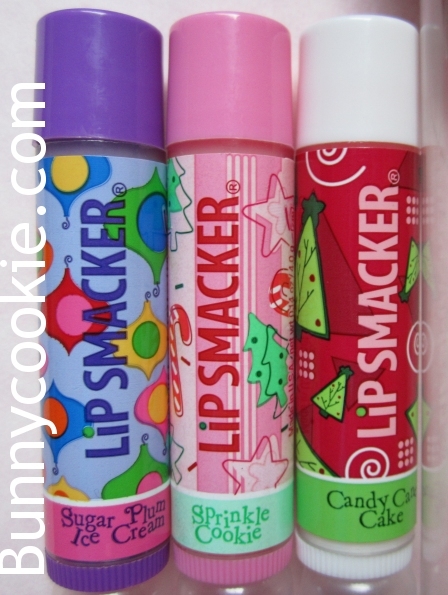 The style of the Candy Sweet collection is much more traditional–what we’ve come to know and love about Holiday smackers in the 2000’s 😀 My favorite from this set is definitely Sugar Plum Ice Cream. I might be a bad smacker fan for saying this, but Sugar Plum is my least favorite scent as it’s usually very floral. I liked Sugar Plum Bubble Gum from 2002, but this one is flawless! 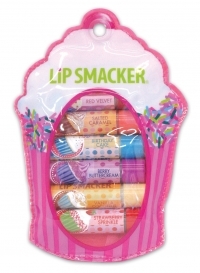 Hey smacker fans, check out this picture courtesy of Lipsmacker.com – six cupcake related flavors and an adorable cupcake bag! Update: the flavors are Red Velvet, Salted Caramel, Birthday Cake, Berry Buttercream, Vanilla Coconut, & Strawberry Sprinkle.